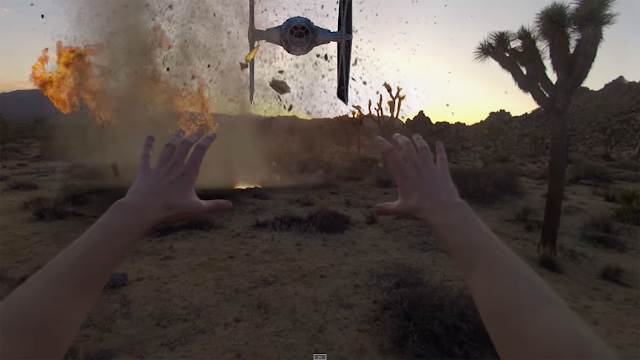 One talented Star Wars fan decided to mount a GoPro on himself to enlighten us on how it would feel like to be a Jedi against the Empire in a barren desert world. The audio and special effects are captivating and realistic that it evokes the feeling of seeing the original trilogy for the first time all over again. After mounting the camera on himself we see him fighting a small group of stormtroopers that escalate in numbers, into AT-ATs, and into a TIE Fighter. It was clearly made for his love of the franchise!